Is there a more noble purpose in life than to help a fellow living being? We all feel great when we are able to help someone in need. That can be a homeless on the street, a hungry child, people with disabilities, refugees or helpless animals to whom we dedicated this charity WordPress theme we named Zeko. Our last two charity WP themes Maisha and Pena were inspired by a real life charity organisations Virunga and Living On One. 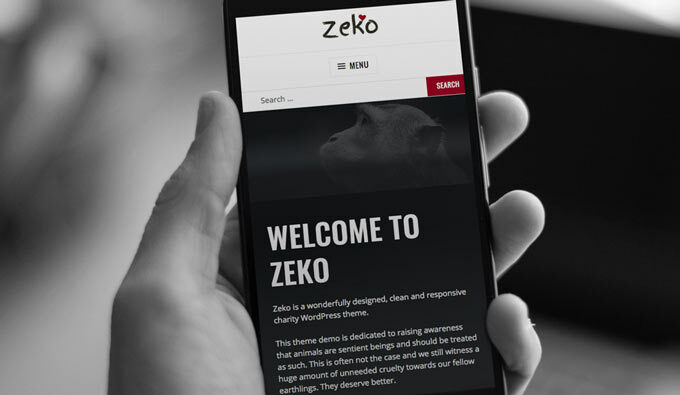 Zeko theme, although not inspired by a real life organisation, is dedicated to a very real and very unnecessary animal suffering that, in many different forms, takes place all over the world. 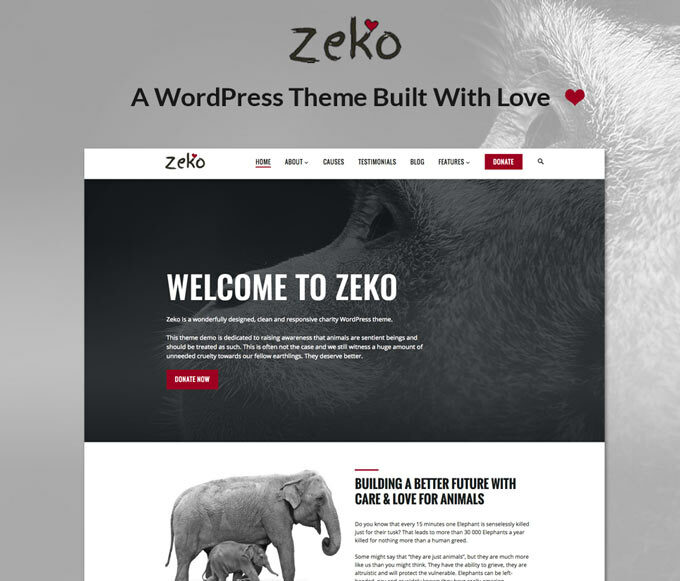 Zeko theme is built with a single goal in mind and that is to be a perfect fit for a charity WordPress site. That means that it applies best practices also used on real and well-established charity sites regarding design, layout and functionality. I guess the best looks and functionality is not worth much if the theme is hard to use. Zeko charity WP theme, while being highly flexible, retains the ease of use due to the fact that it is built for a single niche. It offers the right amount of customization options without bloating it with thousand features that won’t be needed anyway. Even if you want to use some page builder plugin to add additional page layouts, there is a dedicated page template that you can use for that purpose. While themes bring design and layout options to a WordPress site, plugins are there to add needed functionality. However, you’d probably want elements added by plugins to visually fit the rest of the theme and this is where Zeko comes into play. We carefully selected fine plugins that add functionality that a charity site might need and added basic styling to make these plugin visually fit the rest of the theme perfectly. You might want to have your site in Spanish, Italian, German, Arabic or any other language and that will be no problem. 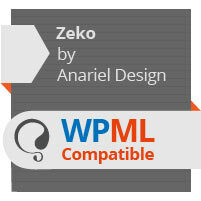 Zeko WordPress theme is translation ready and also officially supports WPML plugin that is most widely used multilingual WordPress plugin. If your site will be in Arabic, Hebrew or some other language that is written in the Right-to-Left direction this theme will make it easy for you with its built in RTL support. One of the components of a fast WordPress site, besides good hosting, optimized images and good plugin selection is certainly a well-coded theme. Zeko is developed following the latest coding practices that not only make the theme future proof but also fast and therefore SEO friendly. Zeko also follows the visual hierarchy of elements that Google loves and being a mobile friendly theme it provides all the basics you’ll need to start building a successful site. There is often a bit of confusion when installing a new theme. Especially for people beginning with WordPress, it can come as a shock to realize that when they install the theme it doesn’t look like the demo site. The reason is actually quite simple, the demo site is a full fledged website built using the theme, plugins and a lot of demo content. So to make a site look like a demo it is needed to install plugins, add content and set it up the way it is set up in the demo. Although we do recommend start building a site from scratch with own content following the guides in theme documentation, for many people it can be convenient to start with the full demo install and then start replacing demo content with their own. For that purpose, we integrated one click demo install feature. This enables you to easily install plugins used in the demo, import demo content and have your own replica of the theme demo ready in 5 minutes. Running a charity organisation and planning a charity site is a difficult task already. With Zeko charity WordPress theme you can make your online life a bit easier. The theme is very well documented and even if you encounter any issues related to the theme our friendly and competent support will help you solve the issue in no time. Zeko theme is included in all three of our pricing plans starting at only $59 (excl. VAT). All plans include access to all our themes as well as access to support and updates for a period of time defined in each plan. To learn more about the pricing click here. 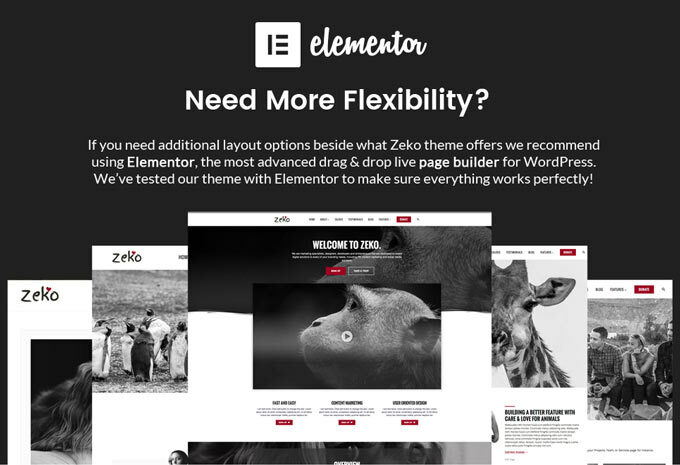 For a hands on experience make sure to check Zeko theme demo here. Struggling to find the right WordPress theme?